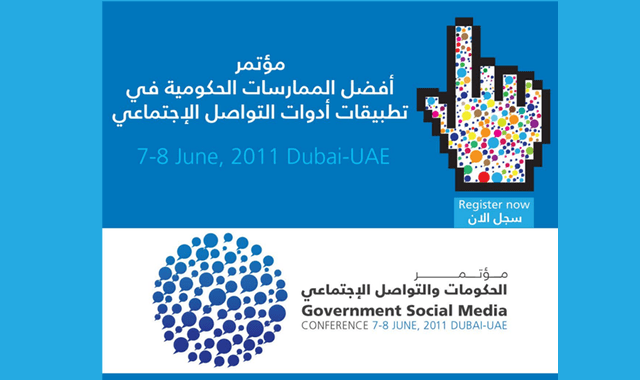 This article is sponsored by the Government Social Media Conference (@govsmc) taking place in Dubai on June 7th – 8th. I had the pleasure of speaking with Mishaal AlGergawi for those who don’t Know Mishaal he’s twitter and social media advocate that goes by the handle @Algergawi if you’re in the UAE or follow news from the UAE on Twitter you most probably read one of his tweets or even follow him. Now he has 5,700 followers on Twitter and tweets regularly, when I asked him how he had reached so many users, he replied saying “Its all about activity” The more active you are with engaging other users the more followers you get “It’s Kind of like speed dating” stated Mishaal, “If you follow a user with a common interest then you will stay in touch and keep following each other once things go stale, then you have to make decision to unfollow, so its really a continuous process”. Content was another key point he (rightfully) claims that users on twitter are looking for relevant content to them, therefore following people with similar interests is a natural decision he split users into two main categories and explained that “There are people looking for relevant/useful information and share links and stories, then there are the experts on Twitter.” He gave me an example of how he would just tweet to his fellow twitter friend who is a translation expert and could get assistance instantly, “So I’m getting direct expert consultation online and from a trusted source, Its not like Wikipedia where I don’t know the source.” Stated Mishaal. Stay tuned for the second part of this article where we discuss the state social media in the region and how governments can be involved. If you’d like to register to attend the Government Social Media Conference you can do so by filling out their form here.